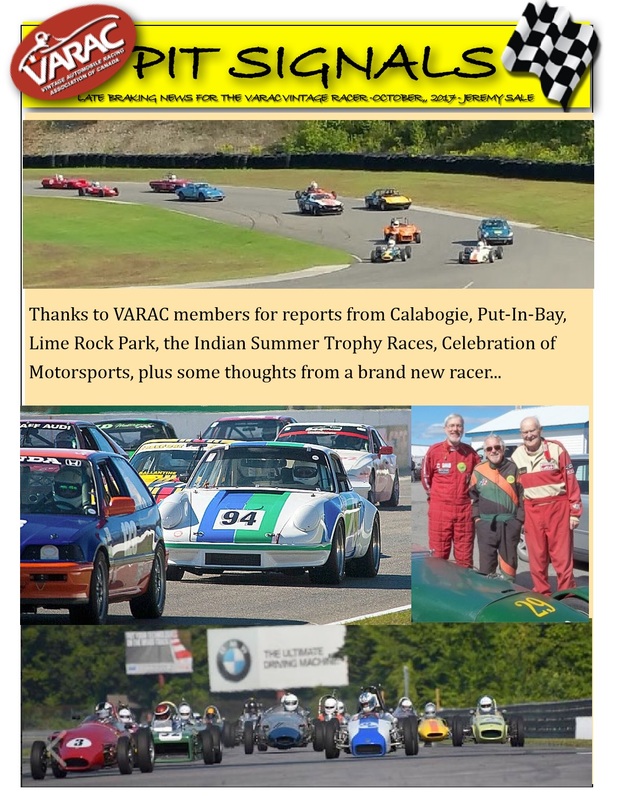 The July 2018 edition of VARAC Pit Signals by Jeremy Sale is available. 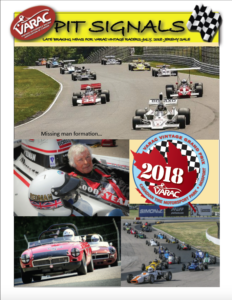 The April 2018 edition of VARAC Pit Signals by Jeremy Sale is available. 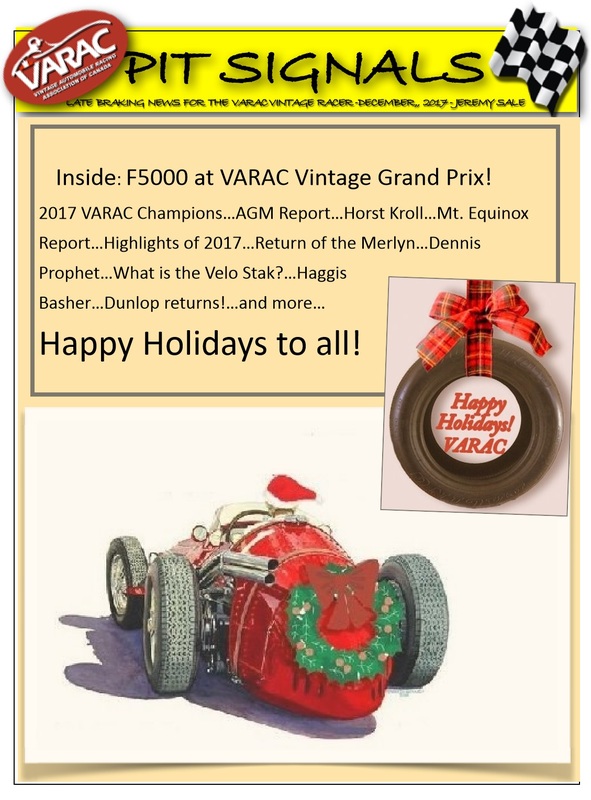 The December 2017 edition of VARAC Pit Signals by Jeremy Sale has been released! What is the Velo Stak? 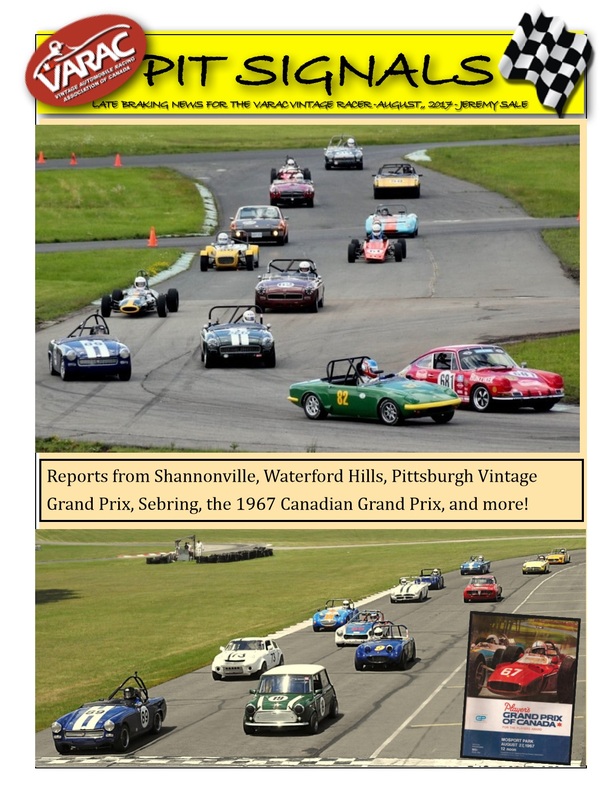 The October 2017 edition of VARAC Pit Signals by Jeremy Sale has been released! 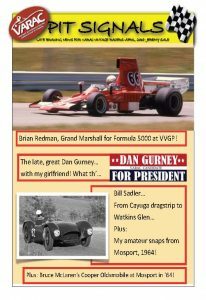 What is Different about Vintage Racing? 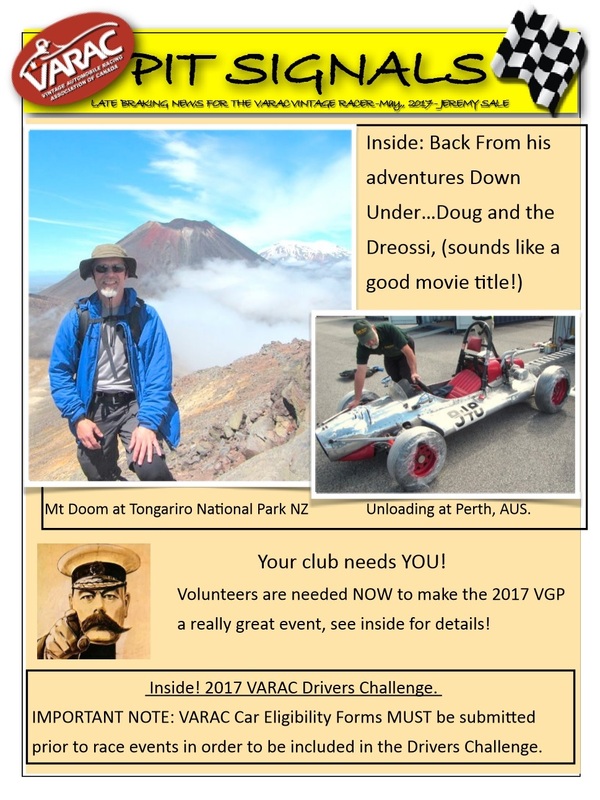 The August 2017 edition of VARAC Pit Signals by Jeremy Sale has been released! The May 2017 edition of VARAC Pit Signals by Jeremy Sale has been released! The Elva Courier Coupe is Back! 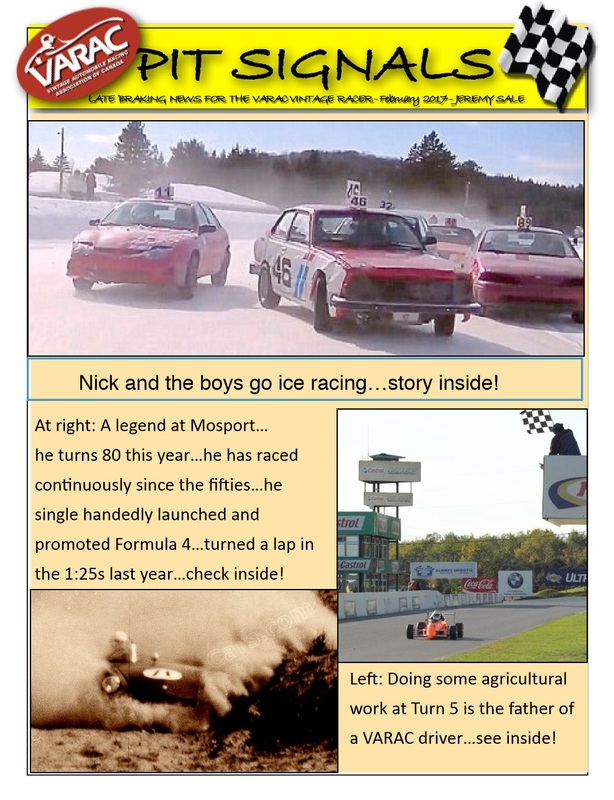 The February 2017 edition of VARAC Pit Signals by Jeremy Sale has been released!